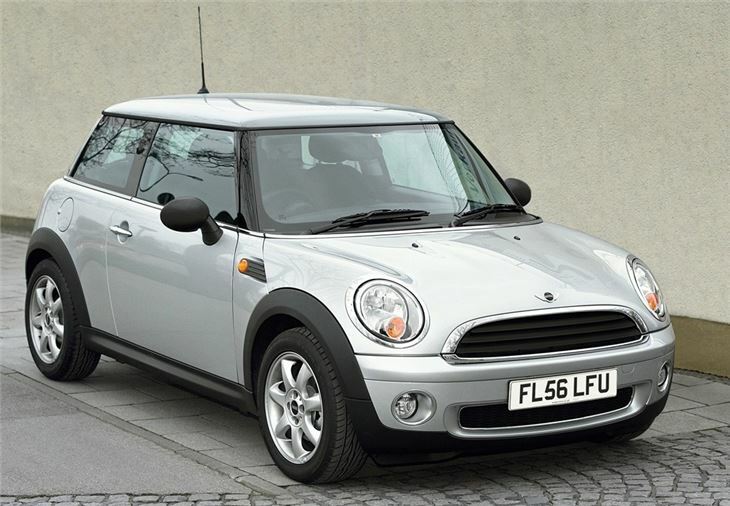 Entry level MINI and enough for many buyers. Good fun to drive. Cheap to run. Very economical diesel version. No standard air conditioning. Needs expensive spec upgrades to be desirable. 1.4 was overgeared so 2nd too low and 3rd too high for suburban corners. Unlike the old MINI One, the new one is a 1.4 rather than a 1.6. So you can't simply programme out the throttle restrictor to get Cooper performance from it. You have to settle for the 95PS it comes with. But, of course, the point of the One is to offer MINI looks for less money and a MINI that's insurable for kids at an affordable Group 5.